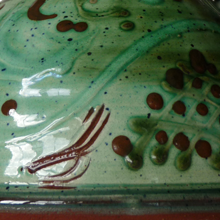 Special Offers for potters & ceramicists - may feature kilns, pottery tools, glazes, books etc. and are regularly updated. Slip decoration is as old as pottery itself and so versatile. If you have not used it before then this could be a good time to experiment. You can use it to slip-trail, resist and stencilling, sgraffito, feathering, marbling, inlay, burnishing and there is lots of information on the internet, ClayCraft magazine and books on how to do work with these methods. Discount applies to listed prices for all orders placed in April 2019. These are items that have been discontinued or we no longer keep in stock. Many items are still available but at full price! Prices have been slashed by up to 50%. If you spend £50 on these items, then we will give you a further 5% off. Keep checking out the ‘Offers’ section as new items are added to the list from time to time. See pdf document for full listing and prices. 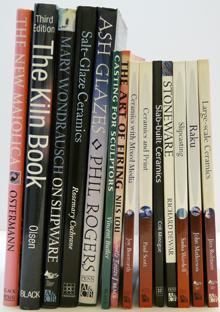 Over forty book titles plus a handful of Ceramic Review back numbers. 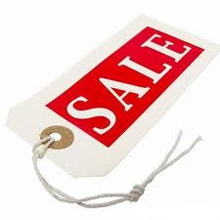 Up to 35% off marked prices.